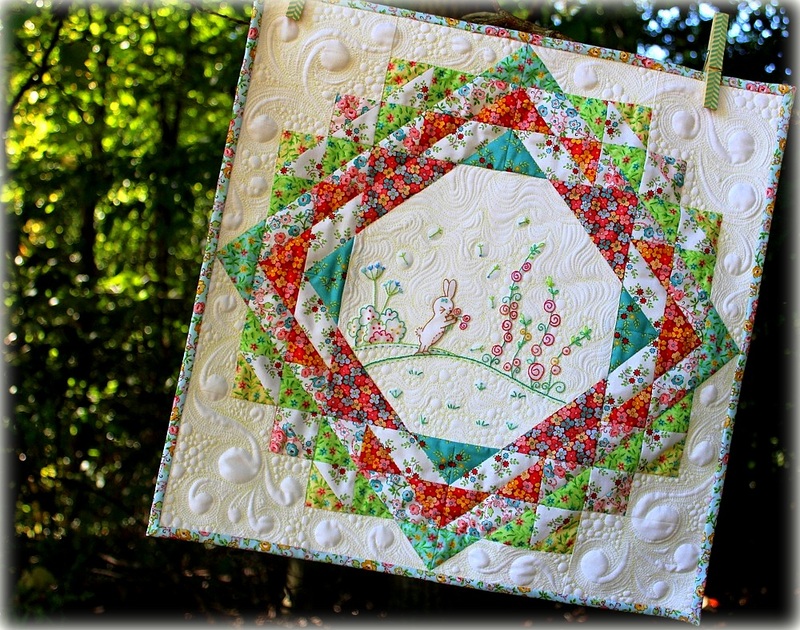 This entry was posted in Needlework, Quilt kit, Quilt Pattern, Quilting and tagged Aurifil, Aurifloss, Bleecker Street Fabrics, Embroidery Floss, Hand Embroidery, Quilting Treasures, Wendy Sheppard Designs. Bookmark the permalink. 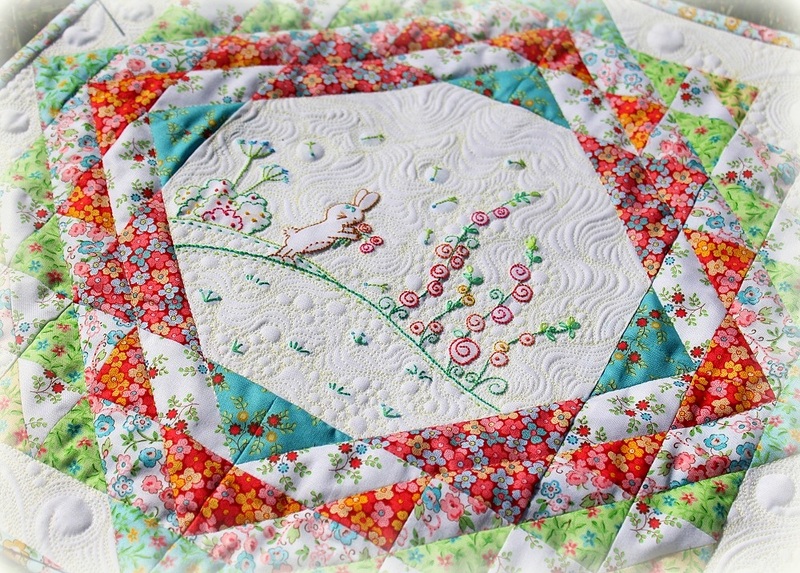 Your quilt is so sweet and would make a lovely heirloom for a treasured girl. The aurifil floss has a beautiful sheen. I hope to find some and experience embroidery using it. Wonderful inspiration! Hello Wendy! My life is slowly returning to normal after my Daughter’s wedding this past month. I tried to stop by as often as I could, yet, I know that there was a lot of great posts that I missed out on. 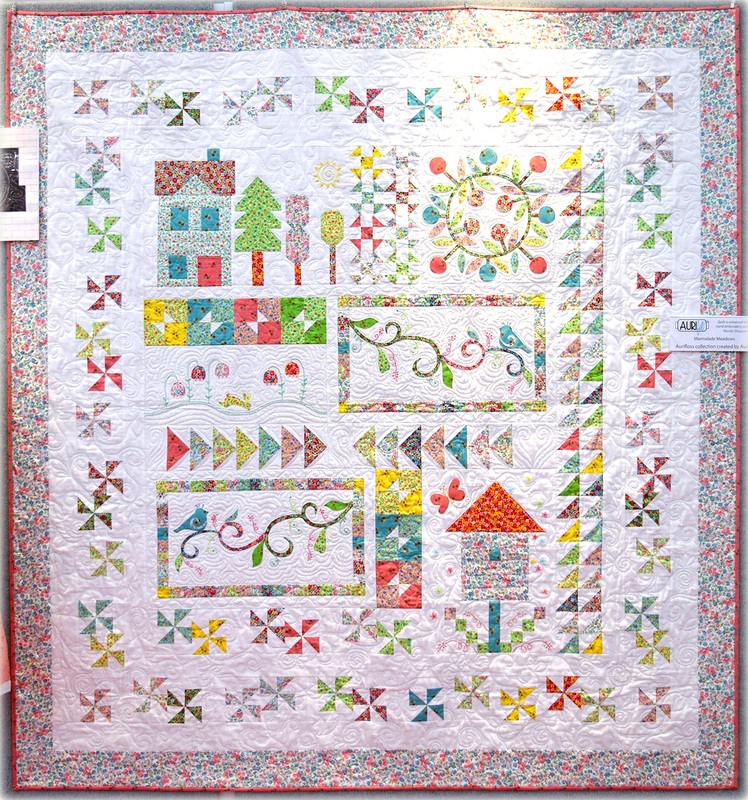 I think Spring on Bleeker Street is a spectacular quilt full of lovely colors and such brilliant designs. 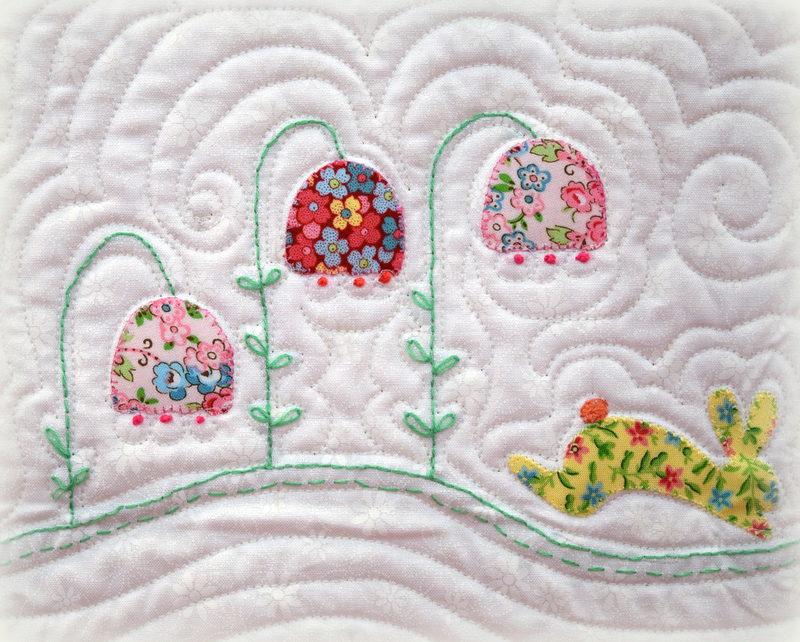 Applique and hand embroidery go together so perfectly, I always stop a moment and thank both of my Grandmothers for teaching me the basic stitches in hand embroidery, it is a treasure that I hold very dear. I will be talking with our local fabric stores and make sure it is available at one at least. I really look forward to hearing and seeing more about this entire project. Thank you for sharing all of the information and inspiring me to practice on some of my applique skills. Have a fantastic creative day! That is such a sweet quilt. 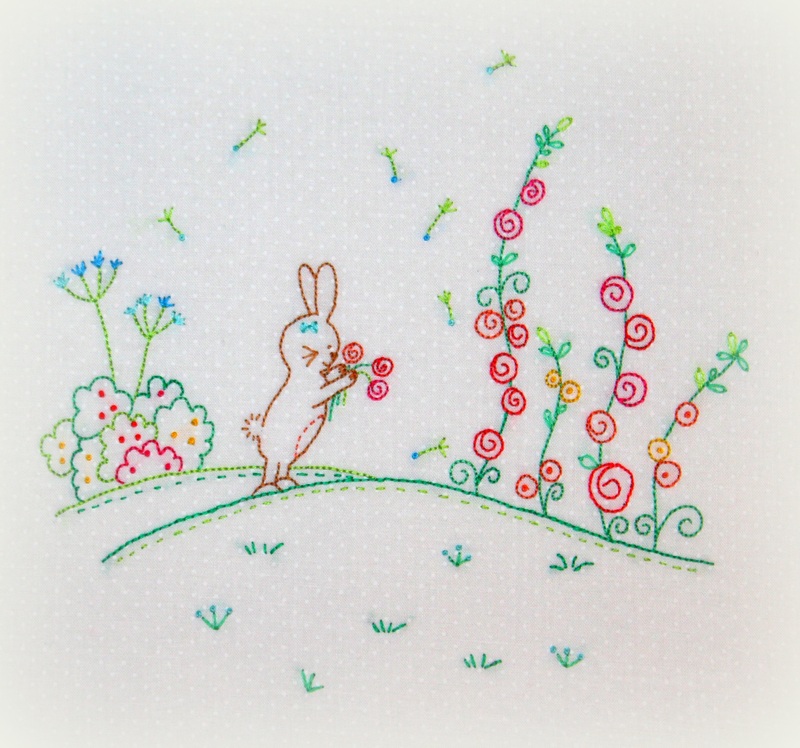 The embroidery is just darling and those thread colors are so yummy. 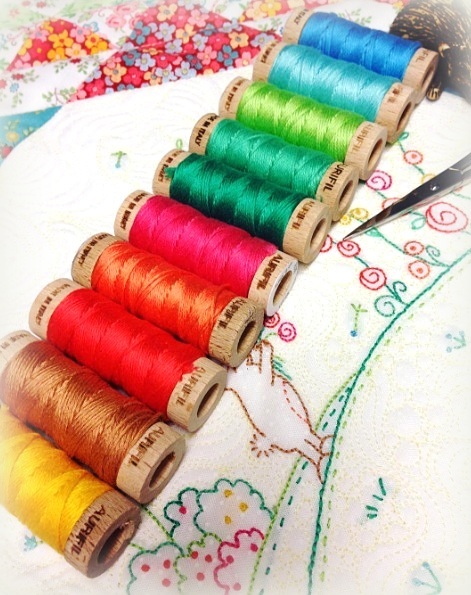 Beautiful new thread collections. I’m absolutely thrilled to see them. Congratulations. But I vote for Miss Baby to have her own collection. So so sweet. Love the colors and the details. Oh My, I love, love, love the Marmalade collection of beautiful Auriful floss. My favorite kind of colors!!! The chubby bunny is just too cute. The fabrics that you used are perfect. I think that I like it all!! 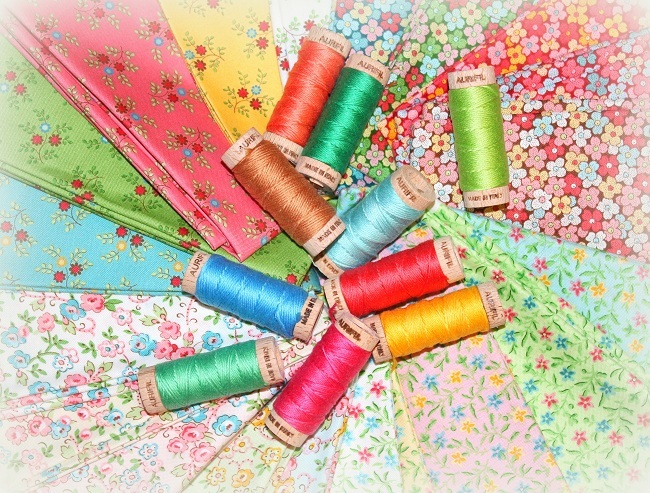 The colors of Marmalade Meadows fabrics and threads are beautiful. I should get back to some of my handwork; I’ve got a bunch of ufo’s. I’ll be watching for the wall hanging pattern. It’s adorable. I so admire your designs and color choices, Wendy! Love these new embroidery threads. 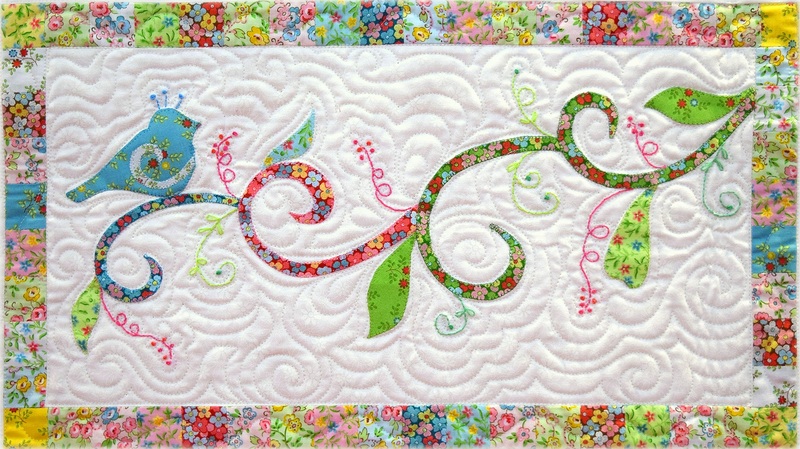 My question…do you double or triple these threads like you do regular embroidery floss to stitch certain designs? My other question is do the threads straighten out or does it stayed curled because of coming pd a spool? Beautiful work as always Wendy. 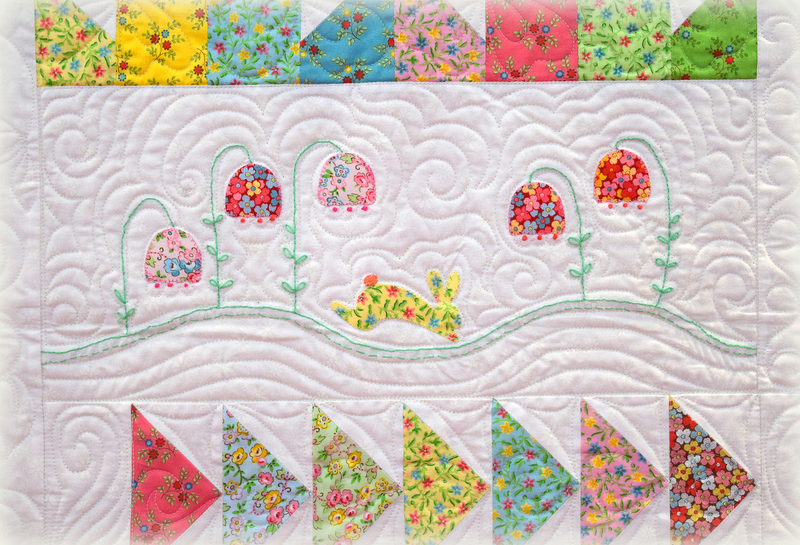 We love how you transformed this collection with your quilting and embroidery techniques! 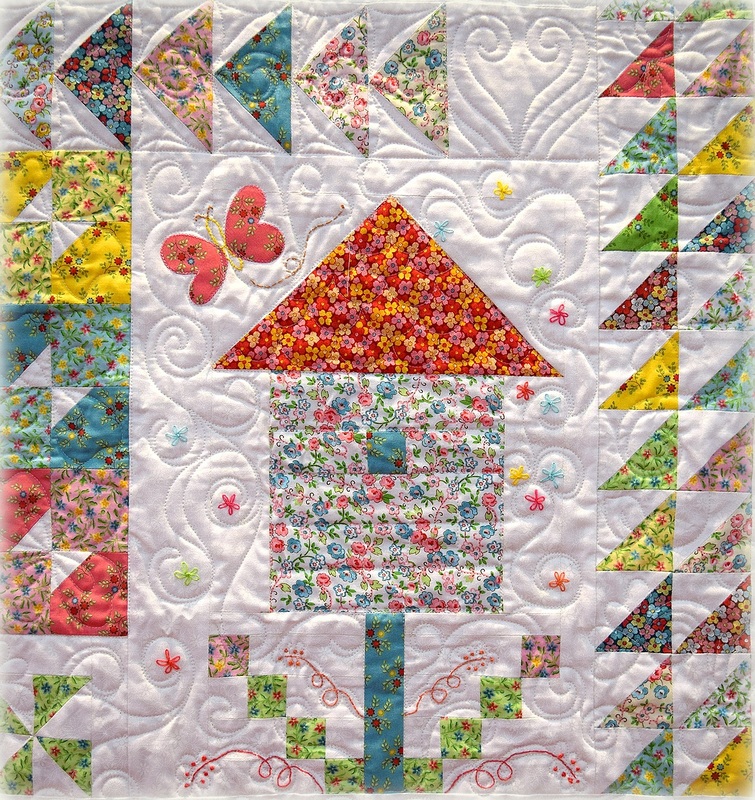 Love how you densely quilted it. Spring can’t get here soon enough! The marmalade collection is in my happy colors. Can’t wait for the stores to get them.